Whether you are a DIY enthusiast or a woodwork novice, a Hybrid Table Saw is a perfect tool which enables you to concentrate on the job at hand. Being able to hold and cut your choice of materials, a Hybrid Table Saw will enable you to complete projects efficiently and professionally, offering precision and accuracy with every movement. Furthermore, many Hybrid Table Saws provide additional safety features which ensure that your health and safety is paramount. View the Best Hybrid Table Saw, Below. What is a Hybrid Table Saw? How to use a Hybrid Table Saw? How to build a Hybrid Table Saw Workstation? We tested the ten best Hybrid Table Saw models currently on the market, helping you to decide which Table Saw is perfect for you and your needs. The Bosch 10-Inch Worksite Table Saw provides a 4.0 max HP, being able to handle materials up to 25-inches wide. 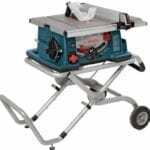 The portable and collapsible table saw provides an adjustable height to meet the needs of the user and the project, and enables super mobility when traveling from site to site. Features include a Square Lock rip fence to provide accuracy and precision, ensuring ease of use for one-handed operations. Offering a table extension in addition to a miter gauge to adapt to different positions, the Bosch 10-Inch Worksite Table Saw is an adaptable tool to suit any job. This Hybrid Table Saw weighs around 60lb and offers dimensions of 39 x 29.75 x 21 inches. Being portable is a fantastic feature of the Bosch 10-Inch Worksite Table Saw, enabling you to store the device away in your garage or shed when not in use, or offering easy transport from site to site. The SawStop CNS175-TGP36 Saw provides 4.0 max HP and weighs a substantial 341 lbs. This table saw is extremely large, perfect for those with a home workshop. 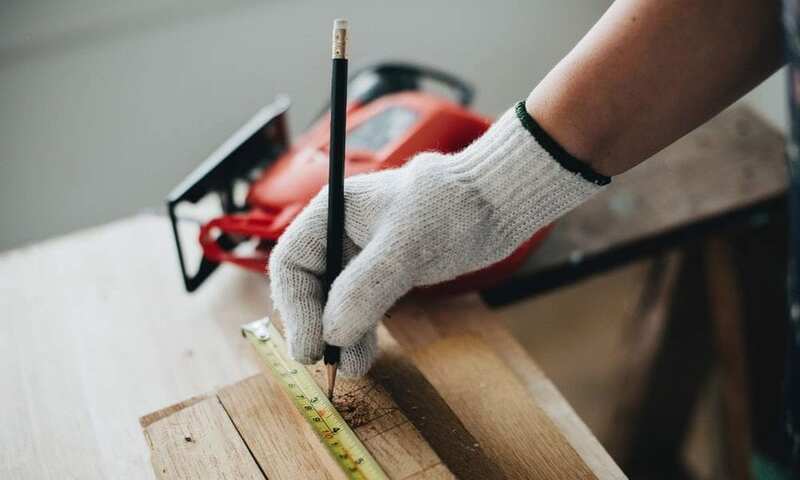 Featuring a professional T-Glide Fence System, you will receive a perfectly smooth operation along with measurement accuracy when using this table saw. Providing SawStop technology, you are protected from Table Saw injuries through small electrical signals within the blade. If contact is made with the skin, the signal changes and the safety system is subsequently activated. A brake is activated automatically to close-down the motor power. In this way, you know that you are safe from serious injury or amputation when using your Hybrid Table Saw. The SawStop CNS175-TGP36 Saw provides dimensions of 72 x 19.5 x 47.02 inches. The SawStop technology offered by the SawStop CNS175-TGP36 Saw is revolutionary and really can prevent the risk of serious injury, providing a worthwhile benefit for your purchase. The DEWALT DWE7491RS Jobsite Table Saw possesses a 32 ½ inch rip capacity in addition to a rolling stand feature to include a rack and pinion fence system, ensuring that adjustments to fences are accurately and quickly made. Offering material support, you are able to utilize narrow rip cuts. Furthermore, an easy set-up is experienced through the design of the rolling stand, ensuring strength and stability while the heavy-duty wheels offering effective transport over curbs. The DEWALT DWE7491RS Jobsite Table Saw weighs 110 lbs and offers dimensions of 31 x 24.5 x 31 inches. The DEWALT DWE7491RS Jobsite Table Saw provides numerous additional features to ensure that this Hybrid Table Saw provides you with the best possible table saw. The Shop Fox W1819 Saw provides a weight of 457 lbs and possesses a horsepower of 3.0. Involving heavy cast iron trunnions in addition to a triple belt drive, this Hybrid Table Saw is produced for longevity and ensures consistent quality. Features also include a camlock T-Fence, heavy cast handwheels and a riving knife, ensuring that the direction and tilt movement of the blade is followed. A 4-inch dust collection port adds to your convenience. Furthermore, the Shop Fox W1819 Saw provides dimensions of 67 x 46.5 x 30 inches. The Shop Fox W1819 Saw provides a true riving knife to follow the up, down and tilt movement of the blade. The Grizzly G0690 Cabinet Table Saw provides a quick release riving knife in addition to a quick release blade guard and push stick. Offering heavy-duty cast iron trunnions in addition to a precision-ground cast iron table with miter gauge T-slots, the fence system easily glides with knurled knobs to adjust fence with nylon runners. Furthermore, a 4-foot dust collection port is featured, ensuring efficiency and high performance throughout. The Grizzly G0690 Cabinet Table Saw weighs 530 lbs and offers dimensions of 24 x 30 x 43 inches. The quick release riving knife and quick release blade guard and push stick are fantastic features of the Grizzly G0690 Cabinet Table Saw. The Powermatic PM1000 Saw offers 4.0 max HP, being wired for 115V usage. Features include a poly-v belt which decreases vibration levels and increases the relative motor efficiency, providing superior dust collecting ability as standard. The inclusion of a 5-year warranty is a great feature of the Powermatic PM1000 Saw, ensuring that you receive the best out of your Hybrid Table Saw. The Shop Fox W1837 Hybrid Table Saw provides 2.0 max HP and an easy to transport weight of 260 lbs. Offering effective dust control, features include a quick change blade guard in addition to anti-kickback pawls. The included true riving knife is interchangeable and ensures that you receive protection for non-through cutting operations. The useful kickstand is built-in, providing a push-down lever which enables you to transport this Hybrid Table Saw when desired. The Shop Fox W1837 Hybrid Table Saw provides dimensions of 58 x 38 x 36 inches. Being able to transport and move the Shop Fox W1837 Hybrid Table Saw freely is a great feature, enhancing ease of use. The LAGUNA TOOLS Fusion Table Saw provides 1.75 max HP and a weight of 240 lbs. Offering an arbor tilt micro adjustment in addition to a dustless cabinet design, the built-in mobility kit comes as standard. Features include the ability to change blades easily, offering longevity and value for money. Furthermore, the quick release riving knife and the additional safety features ensure that this Hybrid Table Saw is a sound purchase. The LAGUNA TOOLS Fusion Table Saw provides dimensions of 35 x 20 x 27 inches. The LAGUNA TOOLS Fusion Table Saw allows you to easily change blades, ensuring that you can experience the best usage of your product. Providing a weight of 267 lbs, the RIDGID R4512 Table Saw offers 13 Amp motor to help you achieve a high performance finish every time. Large glides along the front and back Aluminium Rip Fence ensures that accuracy and precision are achieved. In addition, built-in accessory slots are included in order to install auxiliary fences, supporting larger projects. The RIDGID R4512 Table Saw provides dimensions of 46.3 x 30.6 x 37.2 inches. The RIDGID R4512 Table Saw is an attractive orange and black tool, providing accuracy and precision at all times. The Shop Fox W1851 Hybrid Cabinet Table Saw weighs 410 lbs and provides 2.0 max HP. Featuring a sleek and modern design, this Hybrid Table Saw is an attractive addition to anyone’s workshop. Providing a dual-position rip fence and quick release blade guards and riving knife, safety is at the forefront for this model. Furthermore, a dust collector is built-into this model, providing easy use every time. Additionally, the dual-position extruded aluminum rip fence allows you to position the product effectively, ensuring that you receive high performance cutting from your Hybrid Table Saw. Furthermore, a transparent polycarbonate guard ensures that the user can see the blade as it cuts through the material, increasing accuracy and precision and improving safety. The addition of the transparent polycarbonate guard in the Shop Fox W1851 Hybrid Cabinet Table Saw is a fantastic feature, ensuring that you cut your materials safely and with a high level of accuracy. A Hybrid Table Saw combines the best features of a portable contractor saw along with the best features of a cabinet, enabling you to create efficient and cost-effective results with a durable workshop cabinet. Being able to hold and cut your choice of materials, a Hybrid Table Saw will enable you to complete projects efficiently and professionally, offering precision and accuracy with every movement. Furthermore, many Hybrid Table Saws provide additional safety features which ensure that your health and safety is paramount. Some Hybrid Table Saws are extremely heavy and weigh in excess of 300 lbs; sometimes they are in excess of 400 lbs! Once these types of Hybrid Table Saw are positioned in your home or your workshop, it would be very difficult to reposition the product. Therefore, you should consider your needs before making a purchase. For example, if you want a large, superior model then purchase one of the heavier Hybrid Table Saws, although be aware that there will be transporting issues. If you want more flexibility with your Hybrid Table Saw, then a lighter model of around 240 lbs may suit you, while some lighter models are also available. It may be possible to purchase a compact, transportable Hybrid Table Saw, however, providing perfect storage solutions as well as enabling you to take Hybrid Table Saw from project to project and from job to job. A Hybrid Table Saw can cost you between the price of $200 to anywhere in the $20,000 region; it depends on the brand and model which you purchase although the professional models favored by tradespeople will no doubt be a great deal more expensive. Most standard Hybrid Table Saws feature between 1.5 max HP to 1.75 max HP. This level of horsepower is sufficient for the home woodworker or the occasional enthusiast. However, a median range of horsepower features a range of 2.0 max HP. The more advanced Hybrid Table Saw for the advanced professional woodworker can reach up to a 4.0 max HP, although this range may be too powerful for the moderate user. An effective Hybrid Table Saw will feature a high quality fence system in addition to a high quality trunnion mass and position. 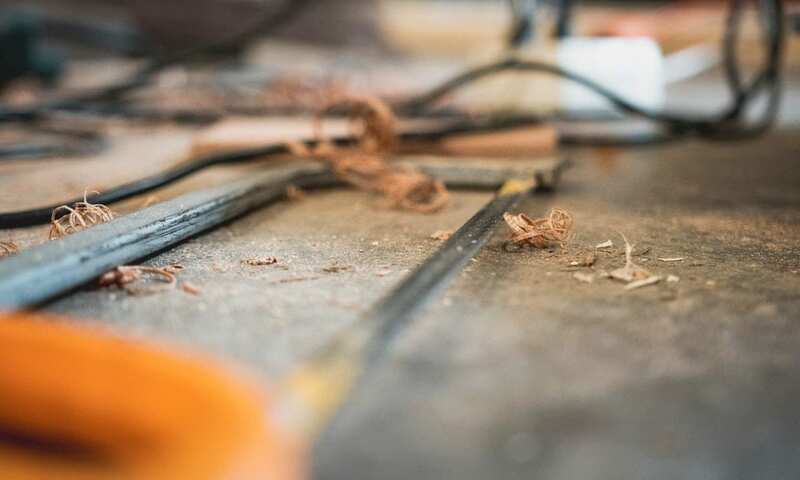 Further features such as the finish of the top and the extension wings should be closely monitored before making a purchase, in addition to features which provide an efficient power transmission to the blade. There are two drive choices when considering usage with a Hybrid Table Saw; direct drive or belt drive. A direct drive is used when the motor is connected directly to the blade, although there can be more of an issue with dust and noise. The belt drive provides longevity and more torque, ensuring effective usage of a belt and pulley, connecting the motor and blade. Some Hybrid Table Saws provide additional safety features, such as translucent guards, ensuring that the safety of the user is safeguarded thoroughly. This allows the user to see exactly where the blade is cutting, providing improved safety measures in addition to strong accuracy and precision for every job carried out. Additionally, some Hybrid Table Saws sense when the equipment is about to come into contact with human skin, shutting down the operation immediately to eliminate the risk of injury and amputation. A Hybrid Table Saw combines the best features of a portable contractor saw along with the best features of a cabinet, enabling you to create efficient and cost-effective results with a durable workshop cabinet. Benefits of using a Hybrid Table Saw include experiencing a light and stable cabinet base in addition to feeling the belt-driven sliding table to enhance the ease of cross-cutting. Many Hybrid Table Saw models additionally feature safety guards and further safety features such as a quick-release system to aid ease of use. To use a Hybrid Table Saw, simply clamp your material in place and saw through your markings in the material to achieve your desired cut. Every model will vary so be sure to follow the manufacturer’s instructions. 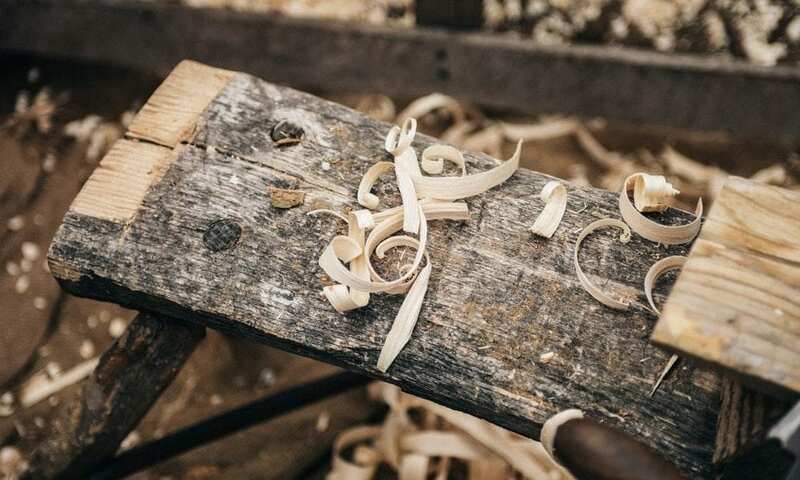 To build on your investment after purchasing a Hybrid Table Saw, you could build a workstation around your Saw using wood, creating drawers for storage and adapting the workstation to your needs and desires. Furthermore, you can attach wheels underneath the Hybrid Table Saw workstation, adding ease of use in addition to being able to move your workstation across the workshop. If your Hybrid Table Saw does not come with a storage shelf beneath the product, simply make a shelf using a simple board of wood and some adhesive hooks. Adhesive hooks are also really good to stick onto your Hybrid Table Saw to provide additional storage for cords and other tools. Use your Table Saw in the way that you want to and that you need to. The table saw was first created as a woodworker’s tool over 200 years ago in 1777 by Samuel Miller who was originally from England. The saw involved a metal disk with teeth around its edges. It did not use electricity, however, although eventually this design was used in sawmills in order to cut lumber. We hope you enjoyed our article on "10 Best Hybrid Table Saws in 2019", if so, please share and rate it.